Tips for indoor vegetable gardening in containers. How to plant, care for, and grow an indoor garden including herbs, lettuce, radishes and more. If you do not have the time or yard space, it is still possible to grow a garden full of delicious healthy produce by indoor vegetable gardening. Maybe the soil where you live is hard to manage, has a shallow bed of rocks, or slow-draining clay. Fresh vegetables can be included on your dinner menu in a blink of an eye with the best solution of growing plants above ground. When space is limited, vegetable gardening ingenuity grows by leaps without boundaries. A specially constructed wooden planter with a drainage tray, can house cherry tomatoes. Containers and vertical plantings make the most out of even the smallest spaces. A garden out of thin air; container tomatoes can hang from the eaves outside a family room window. Build a vegetable tree to grow crops by taking two 2 X 12 boards 6 feet in length for the backboard. Fasten a half circle of concrete reinforcing wire to the boards. Line the half cylinder with black plastic film, and fill with light planting soil mixture. Early in the season, it can be turned into a lettuce tree by slitting the plastic and setting in lettuce transplants. Plant two tomato plants that will drape down from the top later in the season. Plant two cucumber plants halfway down the vegetable tree that will end up of covering the base. Drainage can be a challenge when growing an indoor vegetable garden. Many sizes and types of trays, and saucers can by purchased at your local garden center, to catch extra water draining from your pots and containers. Do not let a limit of outdoor space get you down, take your gardening skills to new heights by growing vertically. Taking full advantage of vertical space by growing vegetables upwards in place of downwards. Cover a balcony or patio wall with a bean vine. Attach planter boxes for draping plants such as cherry tomatoes or cucumbers. Keep in mind, the more roots are restricted, they need additional watering and nutrients. 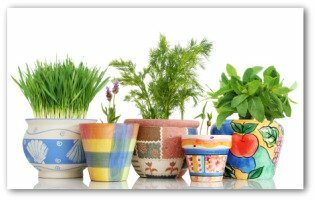 Indoor gardening can take place in boxes, baskets, plastic bags, clay pots, and half barrels, essentially any container to create the ideal environment for root development. A plus for container gardens is grass and tree roots cannot invade. Outdoor container gardens can also be moved indoors to a sunny location to extend the vegetable growing season. Free of the inhibiting problem of infested soil, tomatoes thrive so well in containers; many gardeners who have plenty of ground space are switching to pots, boxes, and baskets. Plant eggplants, peepers, and cucumbers on terraces and patios. A planter box measuring 8" deep, 12" wide, and 3" long delivers enough beets, carrots, or lettuce for many meals. 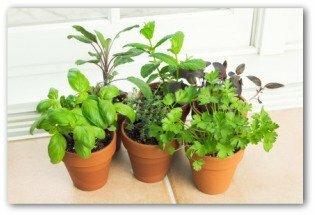 Another bonus of indoor vegetable gardening is the ability to grow fresh herbs all year round. 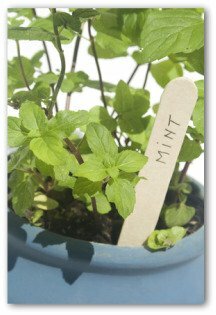 There are many medicinal purposes for growing herbs besides its culinary applications. For example, in ancient Indian folklore, turmeric was called the spice of life. In recent studies, turmeric has been shown as beneficial in fighting Alzheimer's, adding to it health benefits along with the additional taste to curry. A counter top may be your only indoor gardening option. If your counter top is sunny, you can grow herbs and lettuce in containers. If needed, use grow lights to provide the needed amount of sunlight for your garden to flourish. Several companies such as AeroGarden, offer convenient kits of different sizes and seed mixtures for growing on kitchen counter tops. These units come with built-in grow lights and easy to follow planting and care instructions. Traditionalist ground gardeners may chuckle and shake their head at the extreme measures indoor vegetable gardening may lead to designing creative ways to grow indoors. However, who will be laughing when they are outside in the heat, humidity, crawling with bugs, waist high in weeds, and inside you are sitting high and dry, cool as a cucumber. By indoor gardening, set up your own mini vegetable factory with the comforts of being indoors. This method of gardening concentrates the growing of vegetables in an environment that is free of any open space vegetable gardening hazards such as harsh weather conditions, pests, and plant diseases.